Film Star Scott Weinger as Aladdin, Robin Williams as The Genie, Linda Larkin as Jasmine. 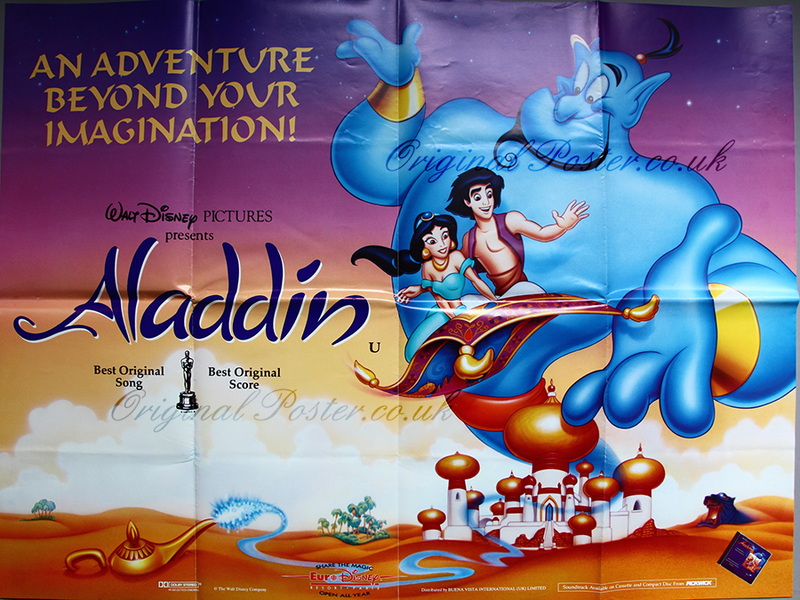 Details Great cinema used double-sided British Quad featuring Aladdin and Jasmine on the flying carpet about to embark on "An adventure beyond your imagination!" The poster features the Oscars for Best original Song for "A Whole New World" and Best original score.